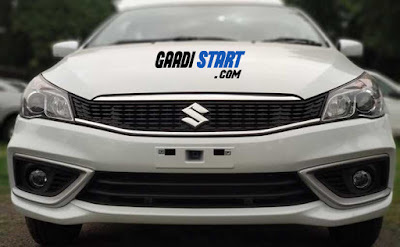 From previous months their are lots of rumours about Maruti Suzuki ciaz facelift 2018 and finally this car was launched in a market on 20 August and booking for this car is already start. Pictures of new ciaz facelift reveals that there is no LED day time running lamp or LED tail lamp in this car. 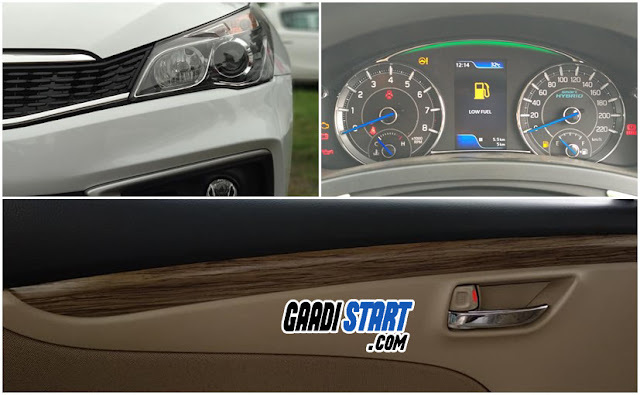 The new ciaz is comes up with new stylish update, Company use large amount of chrome insert to enhace the look of interior of car. 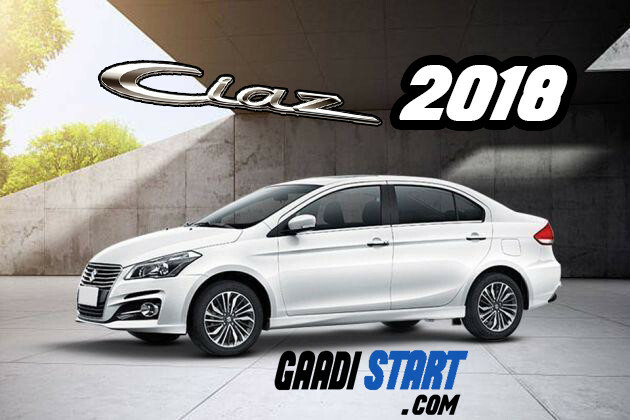 The rear and front bumper of ciaz is redesigned, Apart from that, with new diamond cut alloy wheel the cars look very luxuries. Also Read :- Why Maruti Suzuki Announced price hike upto Rs.6100 in each car? Cosmetic changes made to the cabin are normal and one of the most notable ones is the new faux wood inserts used for the dashboard and door panels. The air-con vents and the dashboard design remain unchanged. 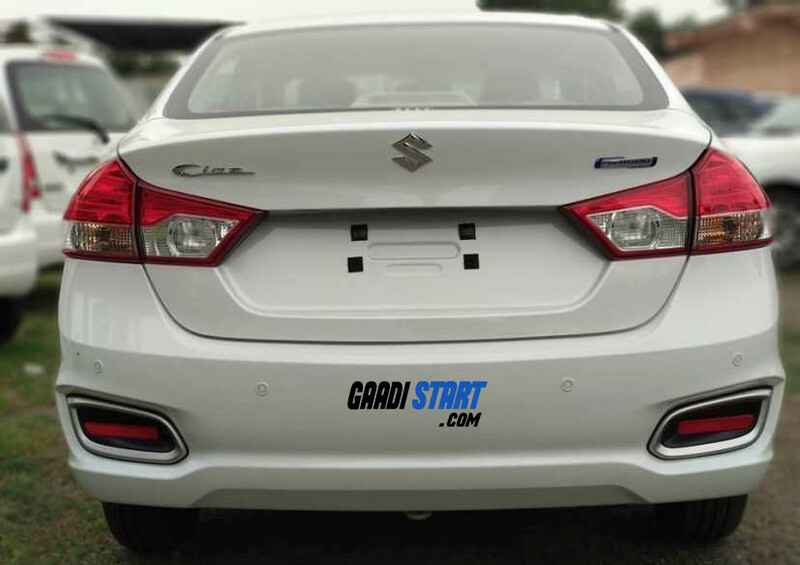 The instrument cluster are also updated and now there is new MID in ciaz facelift. In term of safety new ciaz will comes up with dual-airbag, ABD, EBD, Speed alert system and seat belt reminder for both passenger and driver as a standard safety features. 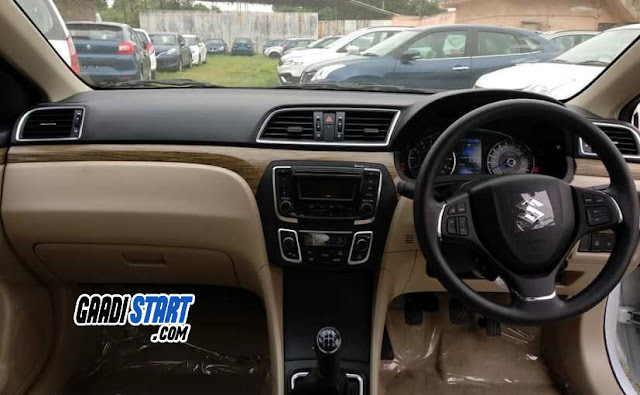 In terms of features this car come with smartplay touchscreen infotainment system, rear parking camera, automatic headlamp, automatic wiper and much more.